We made Shamrock Art to decorate Joe’s lovely classroom this week. 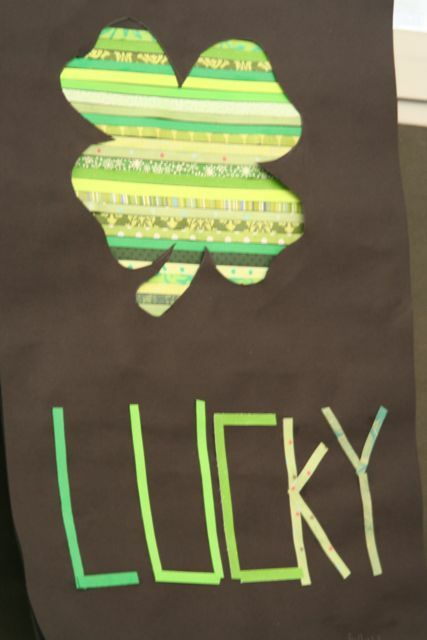 I precut the strips of cardstock the students glued then to a piece of paper, then we cut a shamrock shape out of black construction paper. We had so many strips left over that someone asked if we could write Lucky on the front. In Art, as long as we have the resources the answer is always YES!